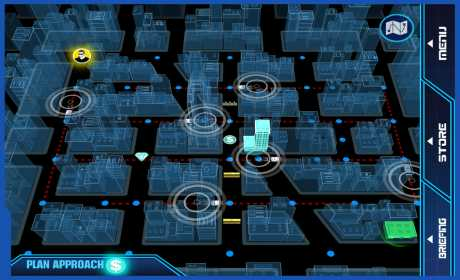 Use your cunning and brain power to plan and execute heists and getaways to rake in the big bucks in the city that never sleeps. Lead a crew of former special ops personnel to take back what is rightfully owed to you and your fellow veterans from those who profit within the city’s dark and corrupt underbelly. • Challenging brainteasers for the thief in all of us, without the hard knocks of spending time in the big house. • Manage a highly skilled team comprised of a Demolitions Expert, Hacker and Wheelwoman. • Deploy specialized equipment like smoke bombs and safecracking tools to better ensure a successful heist and escape. 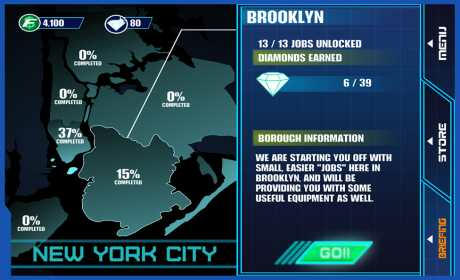 • 60 jobs/targets spread throughout New York City’s five boroughs. 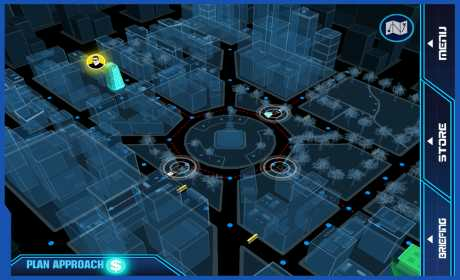 • Bonus objectives that will clearly separate the notorious master thief from the small time crook.